As time has passed I've noticed that I don't meet new people as often as I used to. One of the benefits of making conversation with people you don't know all that well is that you tend to say nice things to each other - like "that's a lovely outfit" or "you have great kids" because you are making connections, and being complimentary is a great way to make a positive impact. With old friends I tend to take a lot of that for granted and it is a rare event to hear someone pass a compliment in normal conversation. So it was a refreshing surprise when a friend's husband mentioned that he thought I had "charisma". 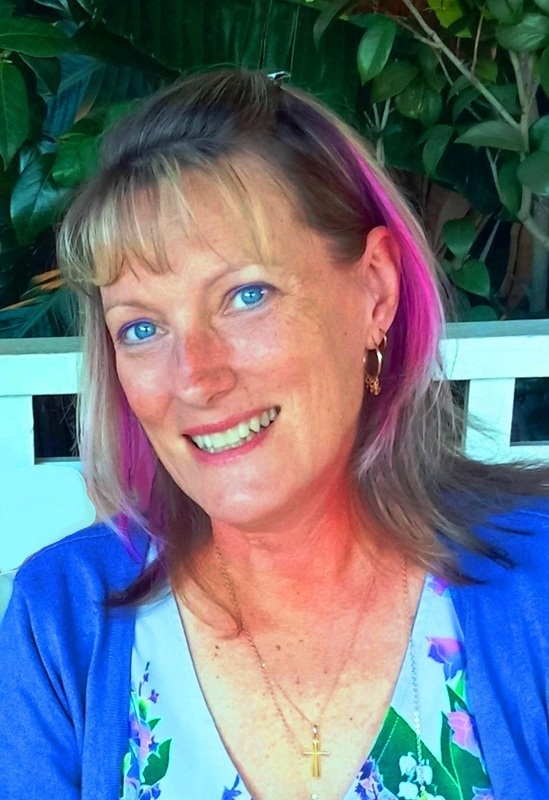 I was completely taken aback and very flattered to think that was how I came across to them. It made such an impact that I still think about it several months later. I don't even have a good idea in my head about what "having charisma" means, but it was obviously a lovely thing to say and I felt quite buoyant afterwards. It made me think about how important it is to build each other up and give positive feedback on a more regular basis. I quite often think something nice but fail to actually put it into words. The moment passes and it will probably not come again. It's also easy to say "nice dress" or something casual, but to actually look deeper and compliment a character trait is even more meaningful. I have some lovely friends who have been with me through thick and thin and it's well past time that I told them how important they are to me and to mention some of the qualities that make them special. I have funny friends, caring friends, others that show empathy or who have a quirky outlook on life and I should be telling them how much I enjoy that about them. If one off the cuff compliment can make my day (or month, or maybe even my year at this rate!) then I should be returning the kindness and passing on some love. So often I've read stories of people who have passed away and their friends remember them for their positive outlook, their willingness to invest in others, their readiness to pay a compliment. All these are wonderful legacies to leave behind and so easy to develop if we thought about it and put it into practice. It also applies to the things I say to my husband and grown up children. I need to open my mouth and tell them when they say or do something great. 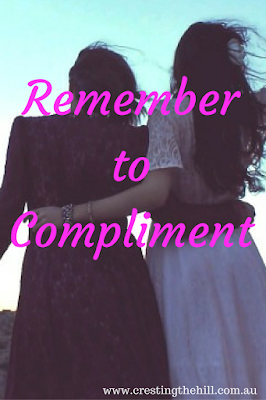 Even more importantly, I need to pass on a compliment when things are just normal. My daughter was telling me how she and her husband made a rule about not leaving the house if they have an argument (ie: not running home to mum) and I thought that was a really good thing, but didn't say so at the time. I need to grab these opportunities to speak love and light into our conversations. I need to keep telling my son and daughter-in-law what a great job they are doing as parents to our grandbaby. When parenting is new and you're feeling your way, any positive feedback has to be a boost - and a balance to all the doubts you feel at times. I also need to tell my husband how much I appreciate him and all the little things he does. The fact that he has stuck with me through thick and thin and has been my one and only for 34 years is quite amazing when I think about it. Marriage is always a work in progress, so hearing positive things from each other and being specific in our praise helps build into the relationship and keep its foundations strong. Perhaps the world would be a nicer place if we all stopped long enough to tell someone how much we appreciate them. We get so distracted by the day to day busyness of life that speeds along and rushes conversations, and we forget those little niceties. We all get a little dry, but how refreshing it is to have a pleasant encounter and an uplifting comment to take with us through the rest of the day. It's also worth looking a little deeper and choosing our compliments to reflect qualities we appreciate or admire in our friends and family. To focus in on something specific can mean the world to someone we care about. We all need a confidence boost at times, so why not be the friend who is known as an encourager and a complimenter - what a great legacy to leave behind! Absolutely agree!! Love it and very well written Leanne! 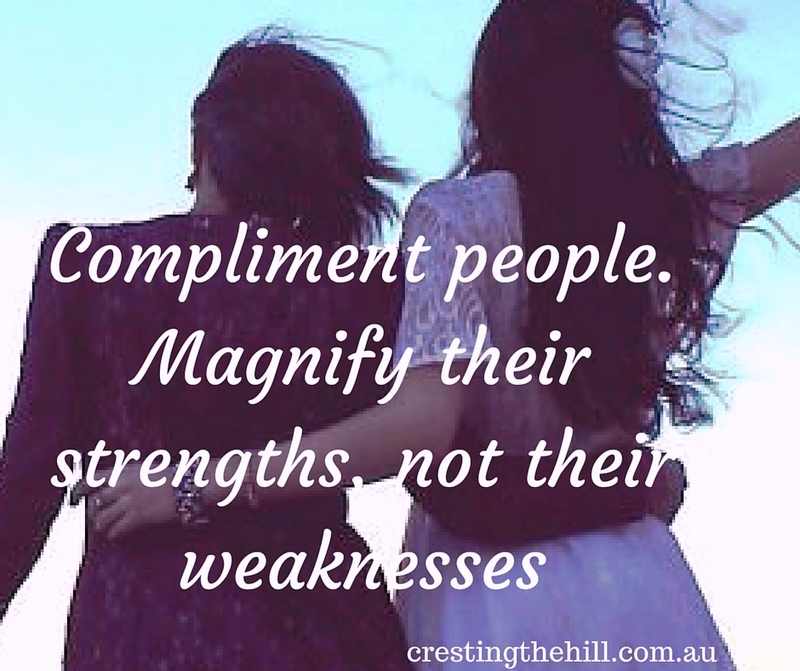 So many people are stingy with compliments - not sure why. It not only feels good to the giver, it feels good for the receiver, too. That's so true Sheryl - it's a win/win situation - maybe we haven't been taught how important it is? It's so easy to forget the importance of building into others - especially our family. Nobody wants to hear false praise, but we all love to be affirmed and acknowledged. This is a well used habit of mine. I just adore doing it. When I pass a lovely lady coming out of a restaurant and I tell her how beautiful she looks...her face lights up and she is taken aback. Because she did, indeed, look lovely. Love these points! There should be more people like you in the world Tammy - how lovely would it be hearing nice things about yourself regularly - it would have to make the world a better place. If more people did that every day it would be a beautiful world. Great advice. My pleasure Sue - it's something I forget to do, but when I remember it's so lovely to make another person smile - and it doubles the pleasure because you feel great for making their day. This is such a simple thing. i try to do it as much as possible. Sadly, it can really take someone aback as they are not used to it. 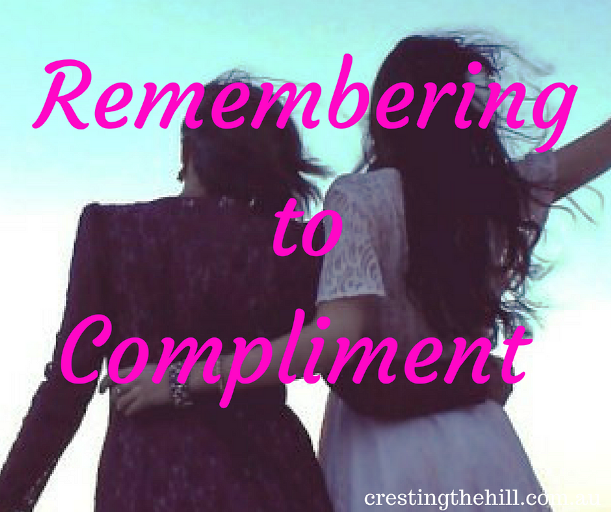 We don't see enough of it as a natural interaction Carol - I think that's why it catches some people off balance - but everyone loves a compliment! It's funny how compliments stay with you. I will never forget one of my mum's friends saying I was "stunning" when I was a teenager and didn't feel it in the least!